Thanks for joining me again. 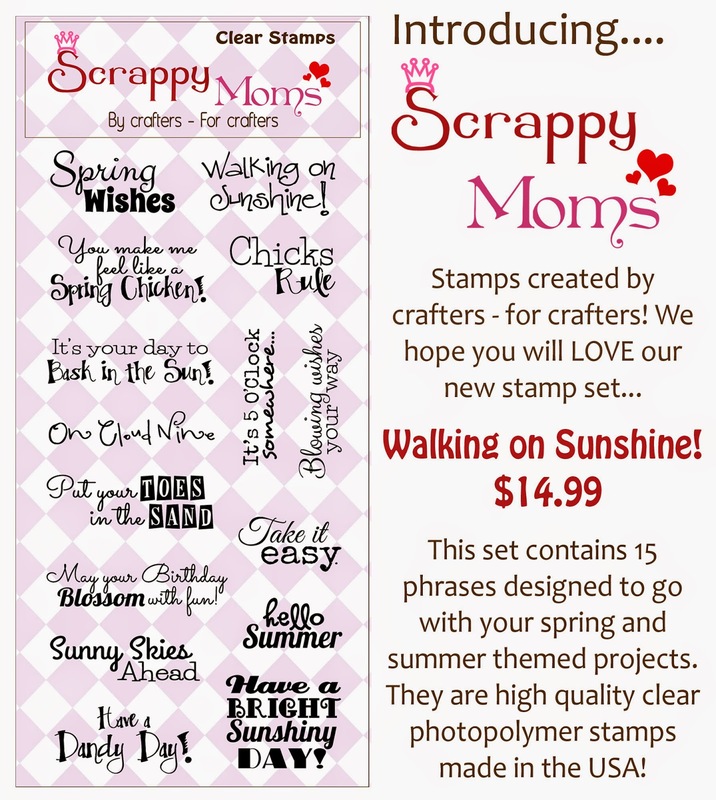 Did I say how much I love these new stamps of Scrappy Mom's yet? Well...I do. They stamp great and because of them I am full of inspiration...so I could not resist making this card. These stamps are just so much fun so without further ado here is the stamp set that I used. It has truly been my pleasure to guest design for you Scrappy Mom's. Enjoy and GOD Bless!! If you are interested in the other cards created with WALKING ON SUNSHINE AND MORE MINI MESSAGES scroll down to the 4/17 post. Oh my goodness, this turn out so cute, you did gr8t!!! Absolutely adorable card, love the fun shape and design! Thanks so much for joining Scrappy Moms Stamps as our April guest designer! Awwww this is too cute! That little face is just adorable!